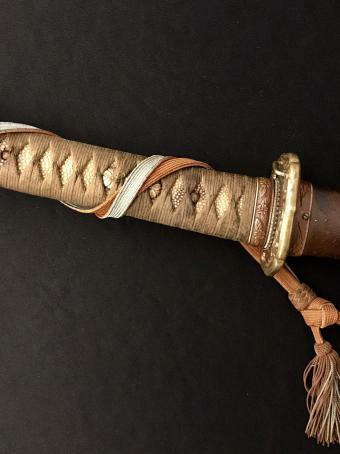 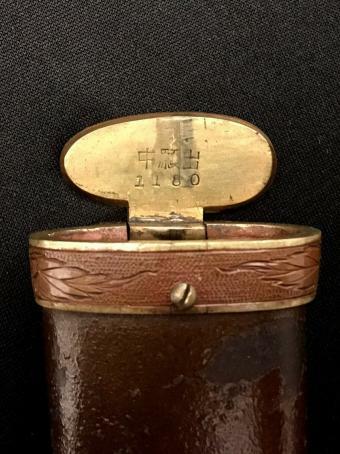 1 rare Japanese WW2 Iida mount Army Officer's gendai sword available. 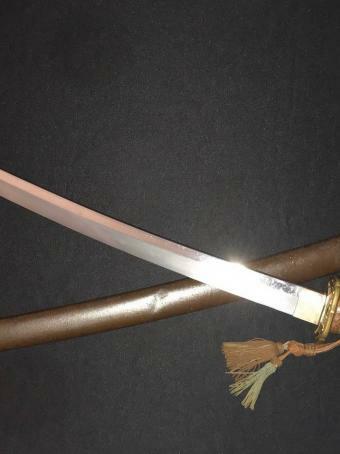 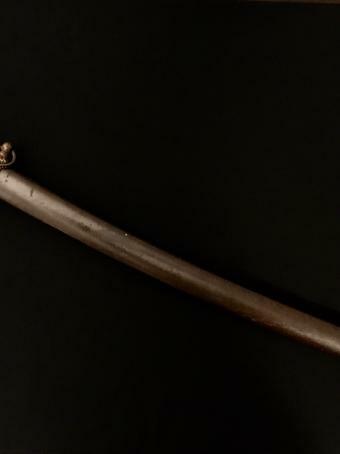 This sword is among the most rare of all Japanese military swords. 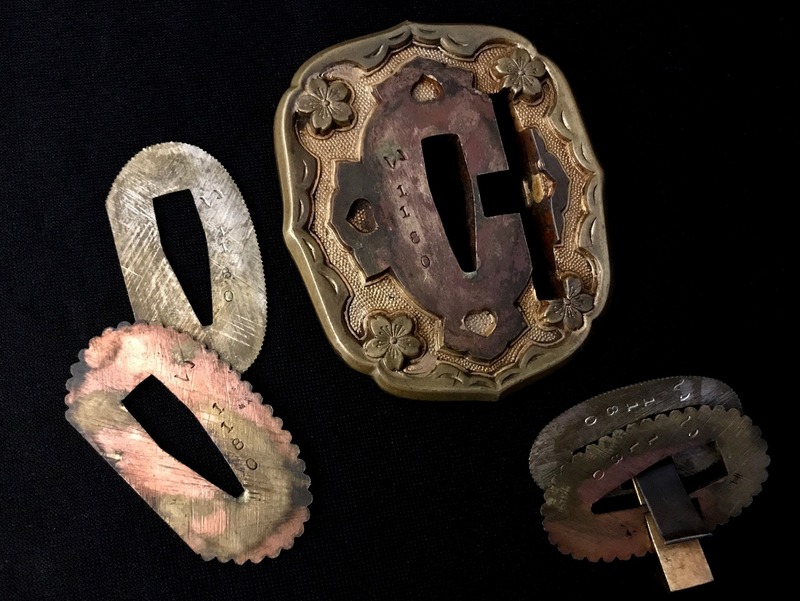 These mounts are referred to as the Iida seal--or the Iida lock, named after its inventor Iida Kunitaro. 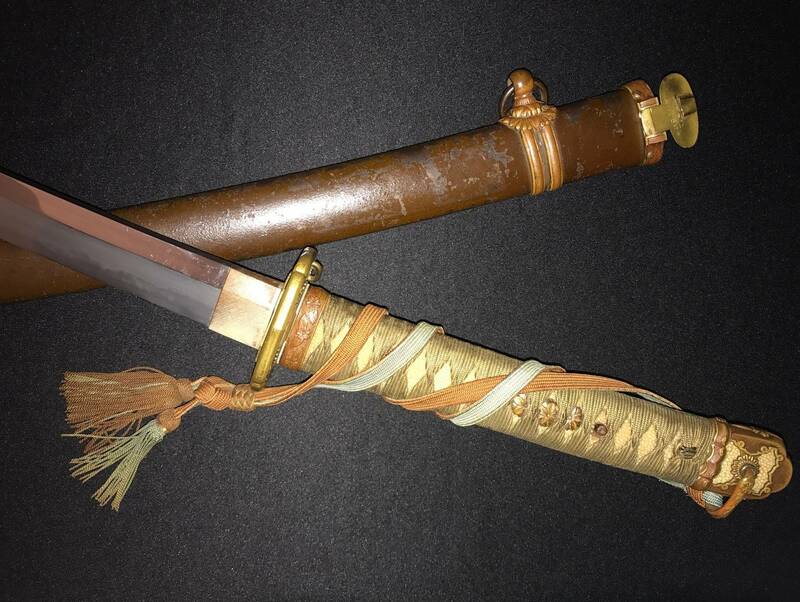 This exceptional Japanese Army sword would make an important addition to any collection. 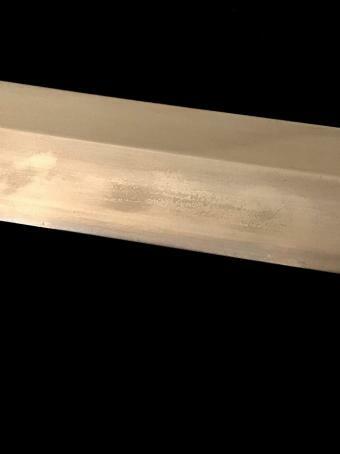 This sword was made the 2 Million Yen smith, Sadashige. 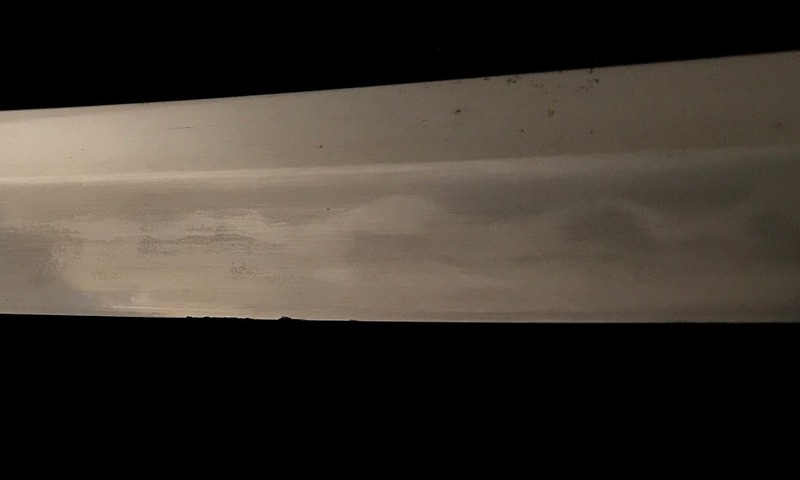 The nakago is signed 'Yoshu Saijo (no) ju Sadashige Nyudo saku'. 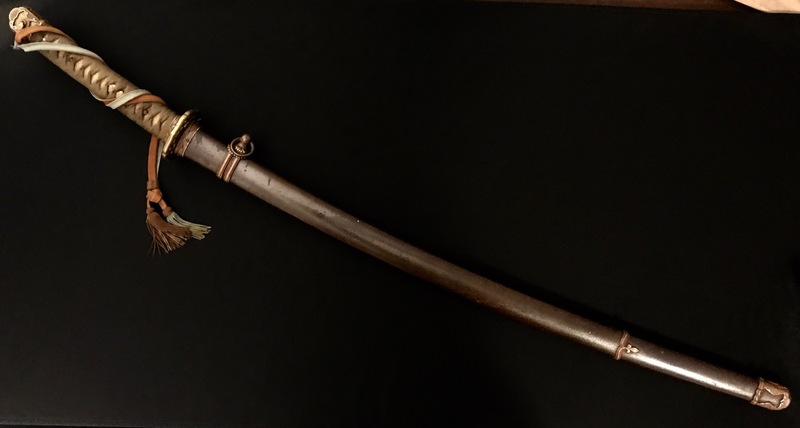 This sword is dated February, 1939. 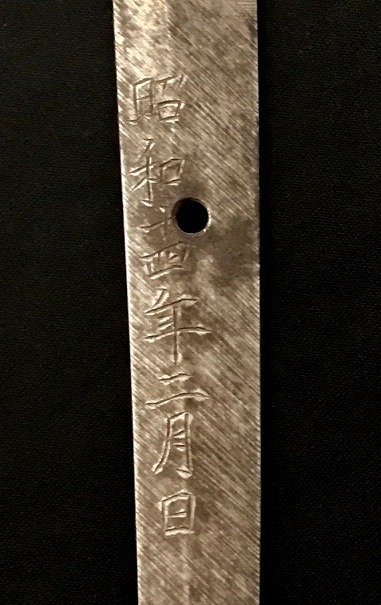 Imai Sadashige earned the title of Sword Forging Teacher/Special Honor Noted Seat at the 1941 Sword Exhibition. 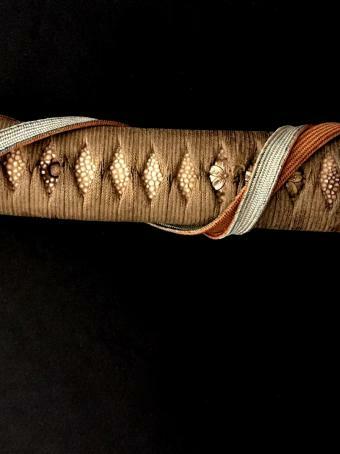 Sadashige is featured on page 150 & 151 in John Slough's book, An Oshigata Book of Modern Japanese Swordsmiths 1868-1945. 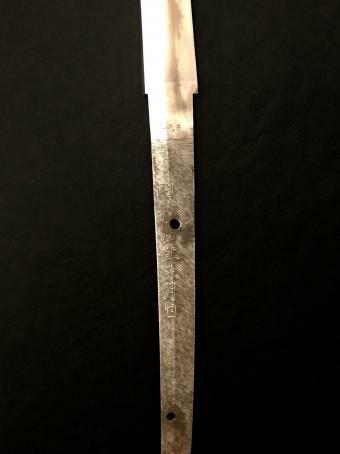 The blade measures a long 27 5/16" (69.4 cm) from blade tip to the notch in the blade spine. 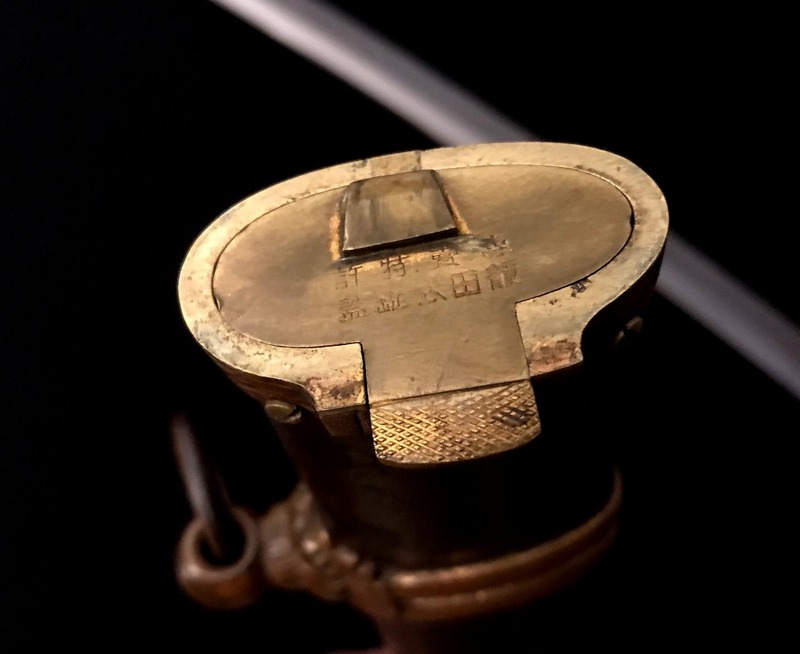 The Iida lock is a weather-proofing mount designed to keep water out of the saya. 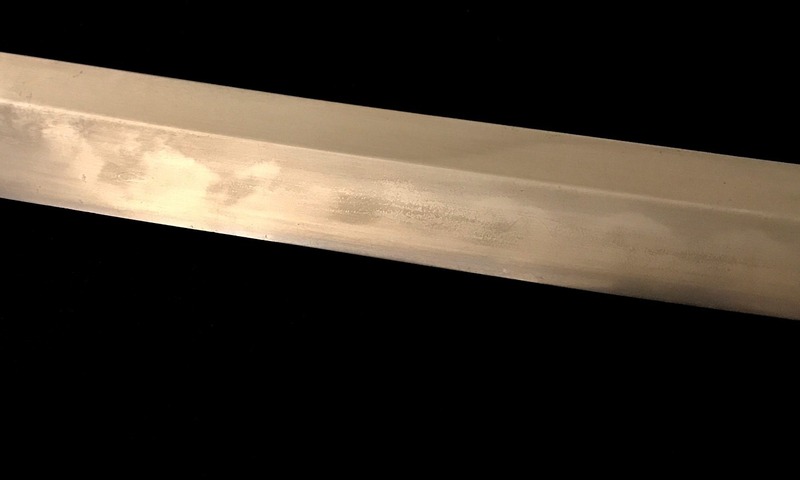 This exceptionally rare sword would make an important addition to any collection. 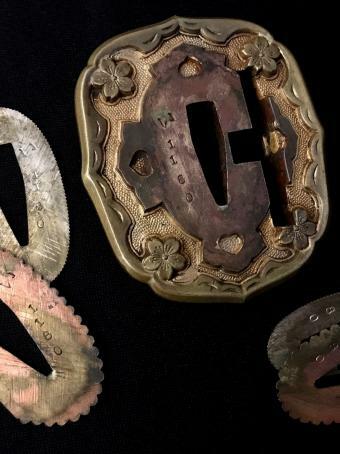 Information on the Iida (IIDA) lock can be found on pages 168 & 169 of Jim Dawson's book, Swords of Imperial Japan 1868-1945 Cyclopedia Edition. 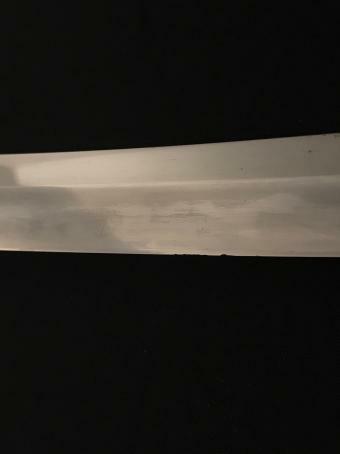 The hamon is exceptional--the temper line billows almost all the way up to the shinogi line. 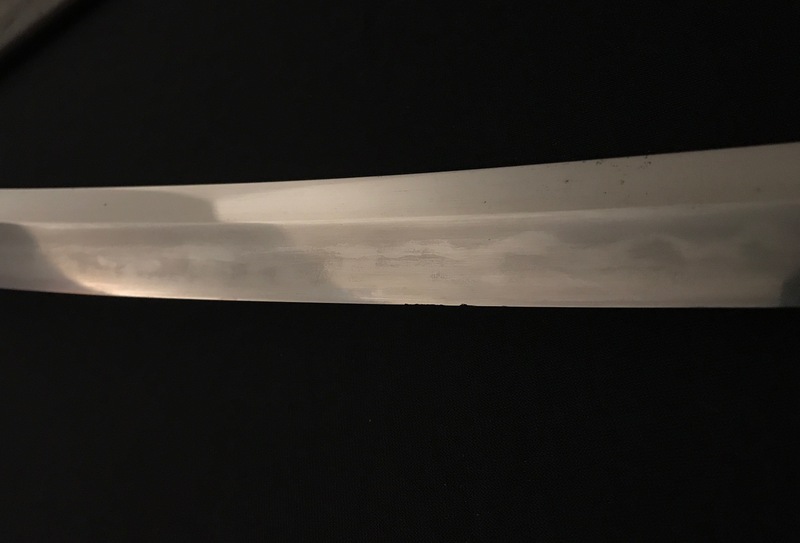 Look at the photos of the hamon to see all of the activity. 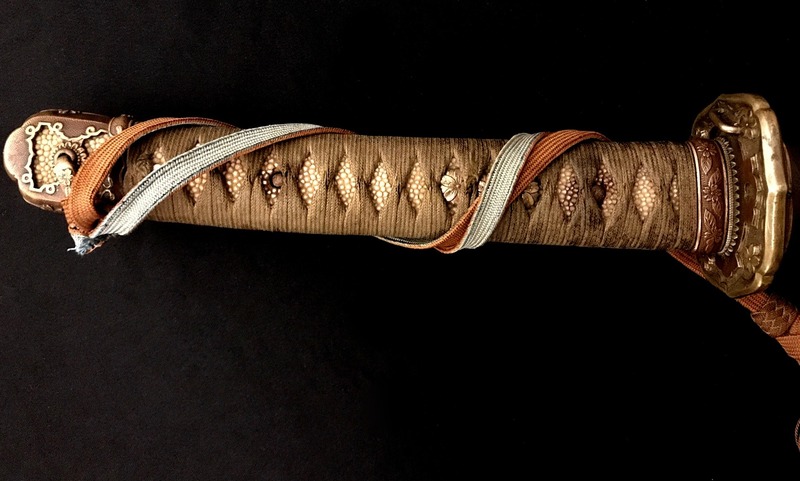 This Iida lock Army sword has a blue/brown Company Grade Officer's tassel. 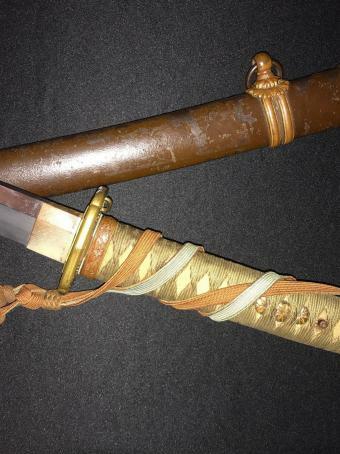 The mounts on this antique Japanese World War II Army Officer's sword are in beautiful condition. 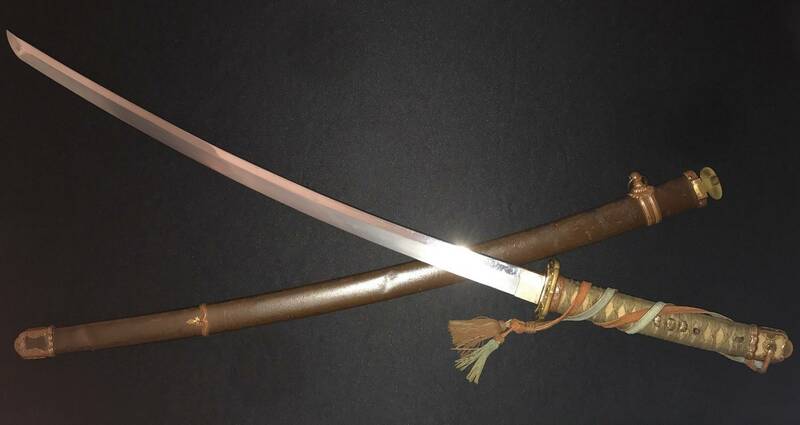 The hamon and boshi are beautiful. 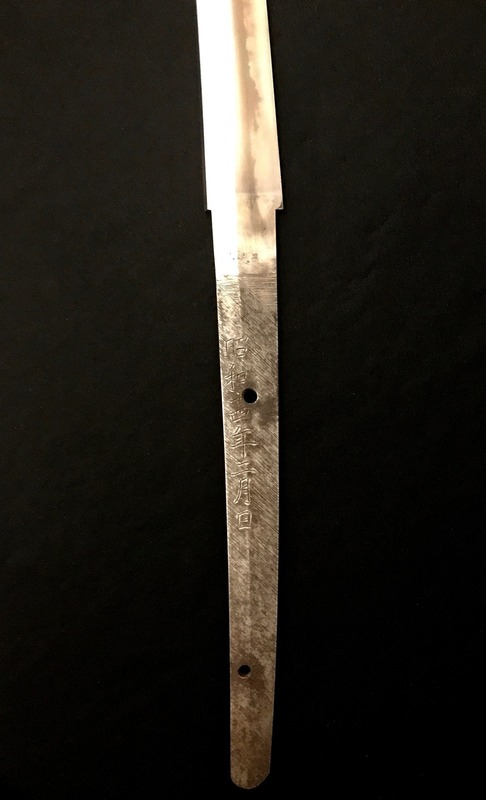 There is an occasional tiny, rather unmentionable, nail-catcher nick on the blade edge. 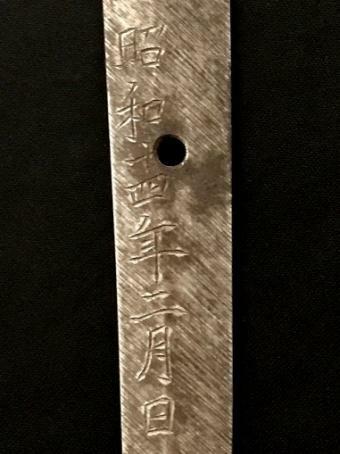 The kissaki may have had a chip as there was some polishing done on it. 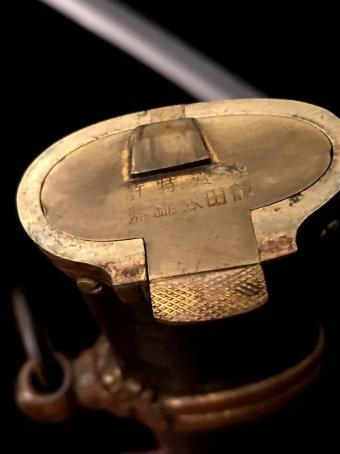 The Iida lock functions perfectly. 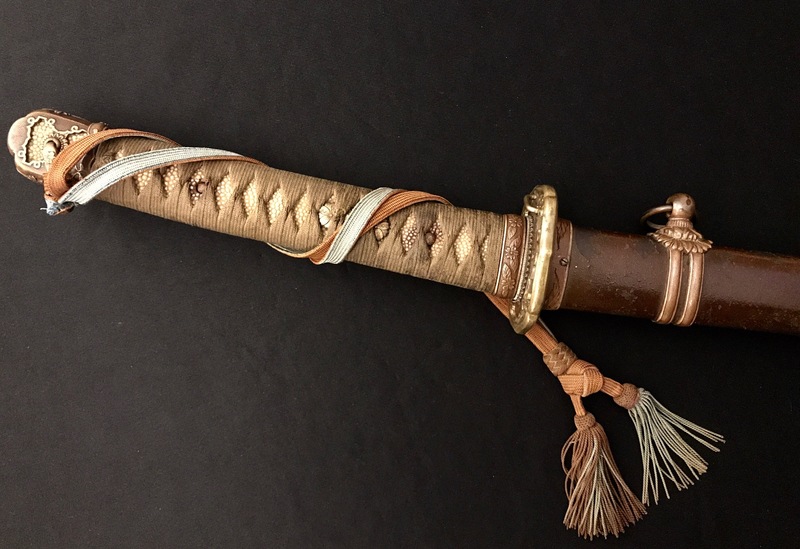 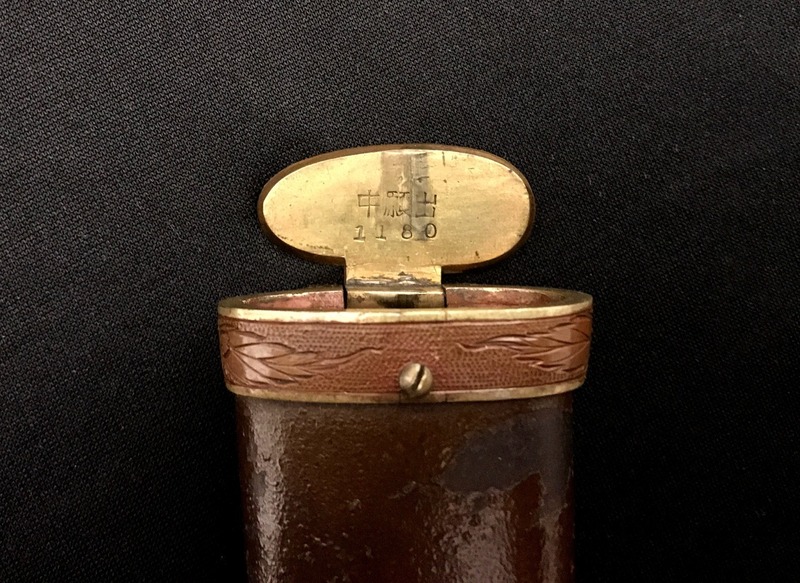 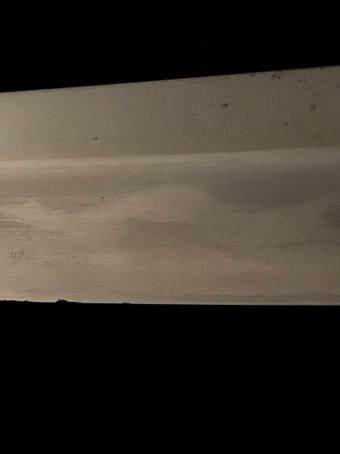 This exceptional, and rare, Japanese Army Officer's Samurai katana--with rare IIDA mounts, with hand-made blade by 2 Million Yen Special Honor Noted Seat smith Imai Sadashige, would make the most rare of additions to any collection.